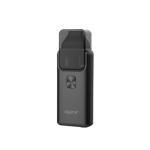 The Aspire Cygnet 80W Box Mod is powered by a single replaceable 18650 battery and has a maximum wattage output of 80 watts. 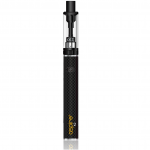 The device has various modes including variable wattage, variable voltage and a bypass mode. 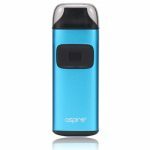 Its design is simplistic, featuring only a firing button and 2 adjustment buttons to make navigation easier. The Cygnet will fire at resistances between 0.1ohm and 3.5ohm. 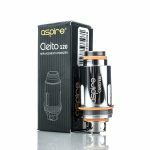 The Aspire Cleito 120 Replacement coil utilizes Aspire’s revolutionary new coil design. The Max Watt coil design frees up restriction in the airflow by eliminating the need for a chimney within the tank itself. 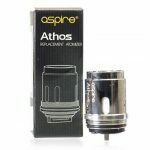 The Cleito 120 Max Watt coil uses Clapton style coils wicked with organic cotton and the outcome it amazing. 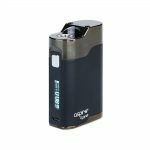 Due to the Clapton style coil, organic cotton and the cross-sectional airflow you will have better flavor and an increase in vapor production. 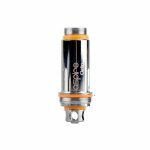 The Cleito 120 Max Watt Replacement coils are rated at 0.16 ohms to allow for an output capability up to 120w!